All photos courtesy Kindred Spirits. The New Orleans Bourbon Festival is in its third year. The festival has grown quickly in a short time, and about half of the Kentucky bourbon industry travels to New Orleans for the events (or at least it seems that way). There are seminars, dinners, special events, grand tastings and I lead bourbon and cigar pairing seminars. This year there’s a new addition to the lineup—an “Amber Carpet” premiere of Kindred Spirits, a documentary showcasing several of Kentucky’s craft distilleries. Steve Akley has been hosting whiskey related podcasts and more for three years as the Founder of the ABV Network, which has now grown to include dozens of contributors. A phone call one day from documentary filmmaker Bo Cumberland led to an instant friendship and sparked an idea to produce a documentary Akley had written that had been collecting dust. The idea was to talk to the craft producers in Kentucky, who the mainstream whiskey documentaries often didn’t cover. 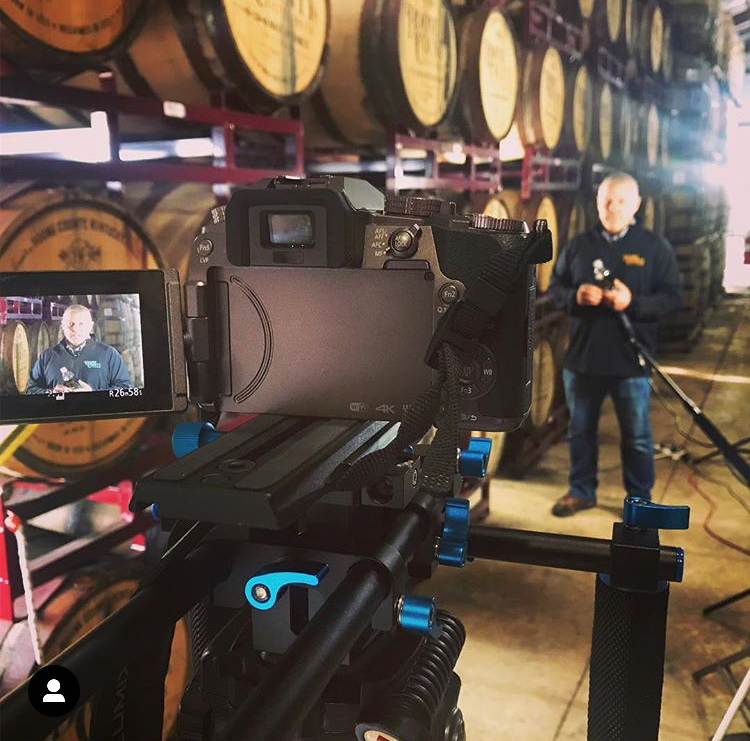 The film includes scenes and interviews from Corky and Carson Taylor of Kentucky Peerless, Joyce Nethery of Jeptha Creed, Royce Neeley of The Neeley Family Distillery, Dixon Dedman of Kentucky Owl, Josh Quinn of Boone County Distilling, Steve Beam of Limestone Branch, and New Riff Distilling. As long as what seems like half of Kentucky is in town, why not have a special premiere event as part of the New Orleans Bourbon Festival? Several of the distillery founders were in attendance for the “Amber Carpet” premiere to watch the new film with festival attendees. “As lovers of bourbon and true fans of the people in the bourbon industry, we are so proud to have the opportunity to host the premiere of Kindred Spirits as part of the 2019 New Orleans Bourbon Festival,” said New Orleans Bourbon Festival Co-Founder Barbara Hirsch. “Kentucky is the epicenter for distilling, and I am honored to have my family's legal and illegal history presented next to the best craft distilleries in the world in Kindred Spirits, I'm confident Steve Akley and his team have done an amazing job with it,” said Royce Neeley of the Neeley Family Distillery ahead of the showing. Even if you didn’t make it to the premiere you can still see the movie. It will be available on DVD in April, and you can find out more about that and watch the trailer on the Kindred Spirits homepage.